When it comes to Air Jordans, it’s usually models #1-14 that get all the love. There are some other favorites sprinkled in like the XVI, XX3, and now the XX9, but many of the others fall to the wayside as far as mass popularity goes. To be honest, there’s been a few models that deserve to be forgotten due to lackluster design, poor performance…or strange see-through windows. But others seem to be looked over for no good reason. 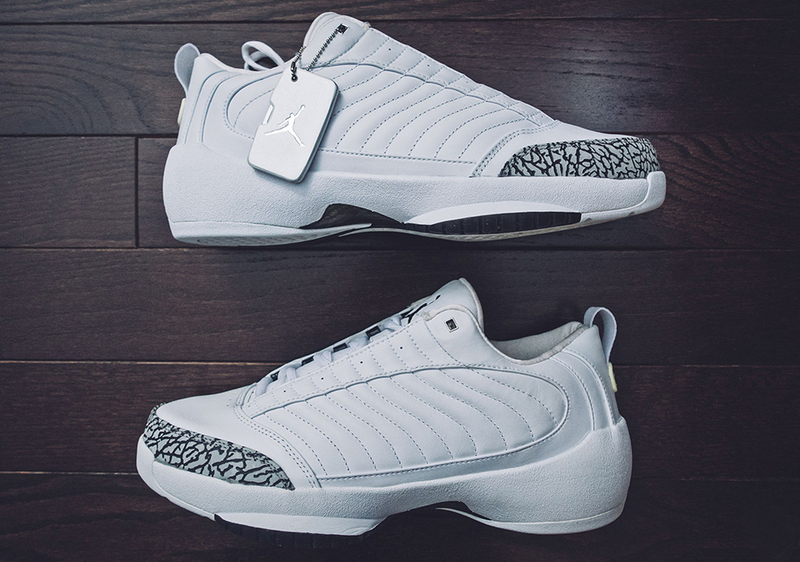 One of those forgotten gems is the Air Jordan XIX. The Air Jordan XIX has everything going for it that Air Jordan fans love: a sleek and stylish design, the introduction of new tech, plenty of comfortable cushioning underfoot, and even patent leather. So what gives? Where’s all the love? In this edition of Jordan 101, we’ll take a look at all the specifics of the nineteenth Air Jordan model, and see if we can win over the hearts of some of its skeptics. 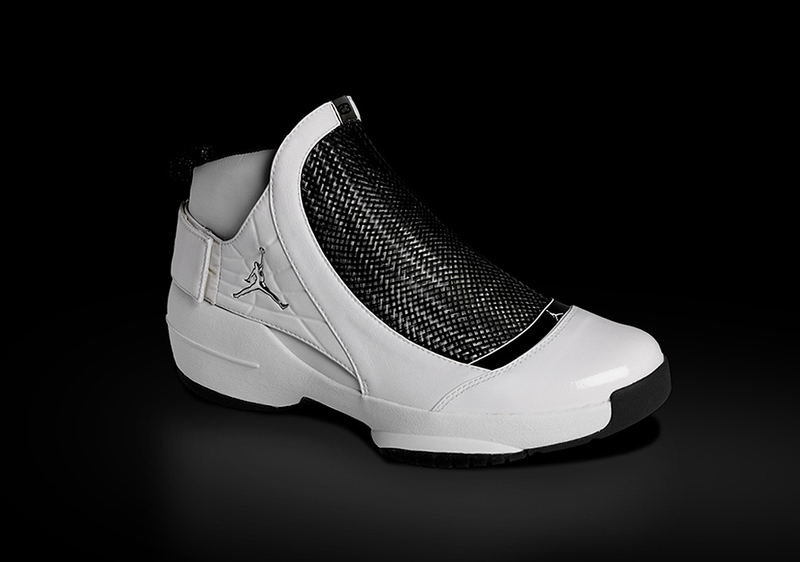 The Air Jordan XIX (19) hit the market in 2004, at an original retail price of $165. The design of the XIX was led by then Jordan Brand Senior Designer Tate Kuerbris, and was inspired by the black mamba snake (this was before Kobe Bryant’s fascination with the deadly reptile). The Air Jordan XIX originally released in three versions: its standard edition, a low-top, and shroudless ’SE’ construction. 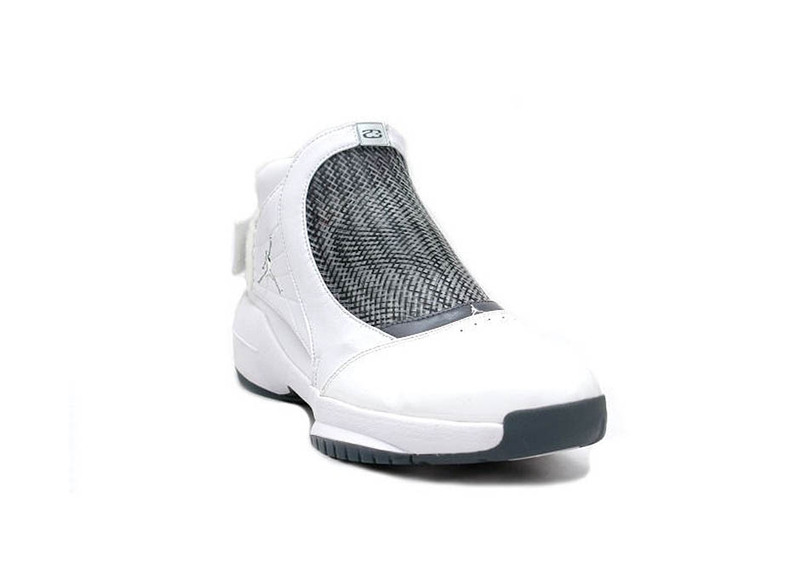 The Air Jordan XIX was inspired by the black mamba, but it also easily calls to mind the sport of fencing thanks to its unique shroud atop the laces that resembles the mask fencers wear. The shroud of the XIX (that isn’t removable like those of the XVI and XVII) consists of a material called Tech Flex, which is a tough, but lightweight and flexible material borrowed from the auto industry. Designed for support and style, the Tech Flex shroud is the shoe’s most distinct feature. 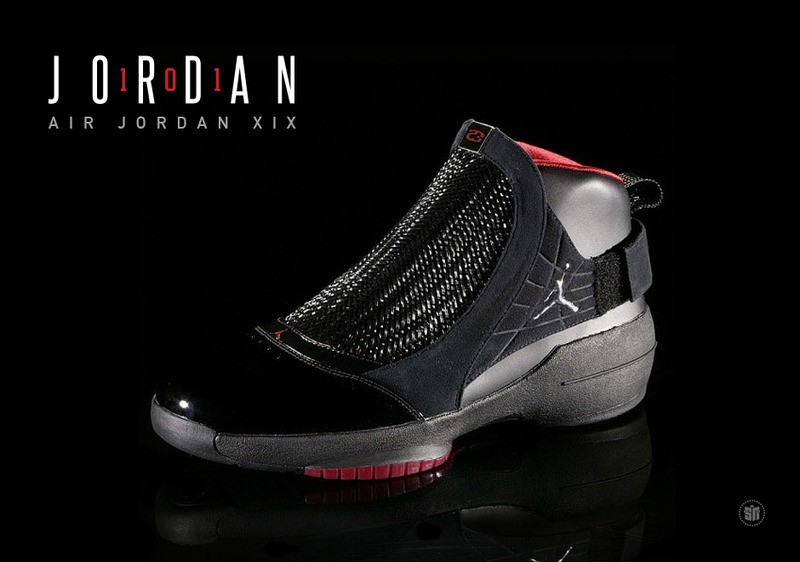 The Air Jordan XIX released in 2004 in five colorways, including a predominantly white edition with Chrome and Flint Grey accents; a stealthy black version with Chrome and Varsity Red for a traditional “Bred” look; White/Chrome/Varsity Red; a “USA” edition in White/Midnight Navy/Varsity Red; and finally a Black/White/Metallic Gold combination that you’d probably agree resembles the “Concord” Air Jordan 11. There were also a number of unique colorways for the low-top and SE iterations—including versions of the low with elephant print detailing on the toe. By now, patent leather is almost expected on Jordan shoes. The shiny material has shown up on any number of game shoes, team shoes, and lifestyle offerings from the brand throughout the years. But when the Air Jordan XIX was released, it was only the third Jordan model to feature patent leather after the Air Jordan 11 and 16. The glossy leather was found on every OG colorway of the standard XIX, either on only the toe cap or also wrapping the shroud’s Tech Flex. It was also found on the toe of one Low and all the SE’s. 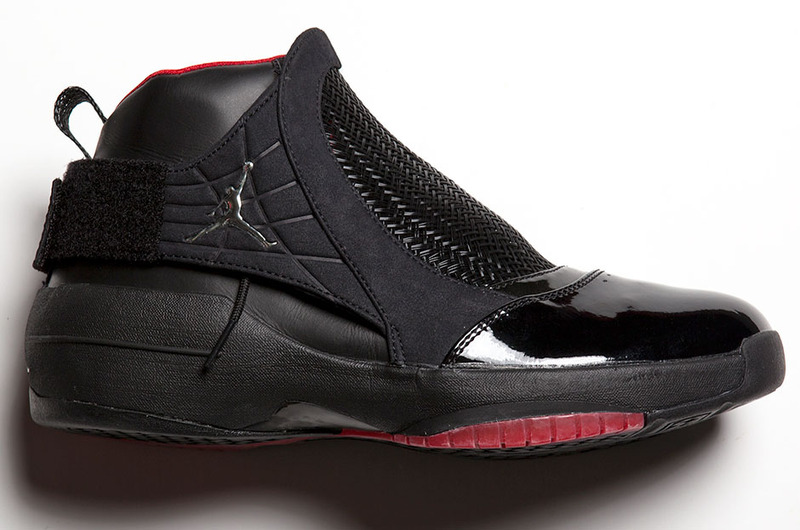 For better or worse, the XIX seemed to be the beginning of Jordan Brand’s eventual obsession with patent leather. The Tech Flex shroud dominates most of the XIX’s design, “masking” the rest of the shoe’s technology—which it’s actually packed with. Along with Tech Flex, the XIX features a carbon fiber support shank, and an immense amount of cushioning thanks to a full-length Zoom Air bag double-stacked with a traditional Air unit in the heel, that’s then all contained within a Phylon midsole. 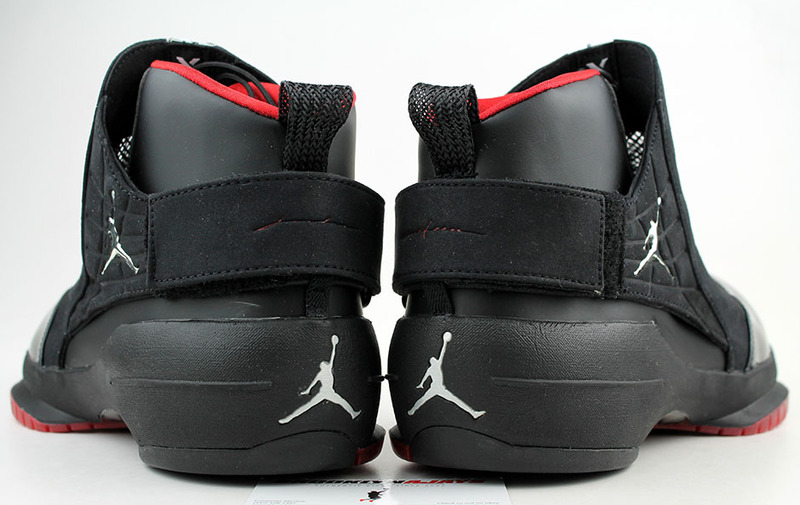 Many that have worn the XIX agree that it’s one of the most comfortable Air Jordans ever. Released in 2004, the XIX was the first Air Jordan model released after Michael Jordan officially retired from the game of basketball. Even after MJ retired the first time, he could be spotted in Air Jordan IX PE cleats during his baseball stint in 1994, so the XIX ten years later marked the first shoe you’d never see him play—any sport—competitively in. The absence of MJ just meant Jordan Brand had to find some other pros to rep the Air Jordan line, and that they did by lacing up stars like Carmelo Anthony, Gary Payton, Jason Kidd, and Ray Allen with the shoe. With Michael now off the court for good, the Air Jordan XIX began the next chapter of Jordan Brand, where it’s still one of the best models of the post-Michael era.